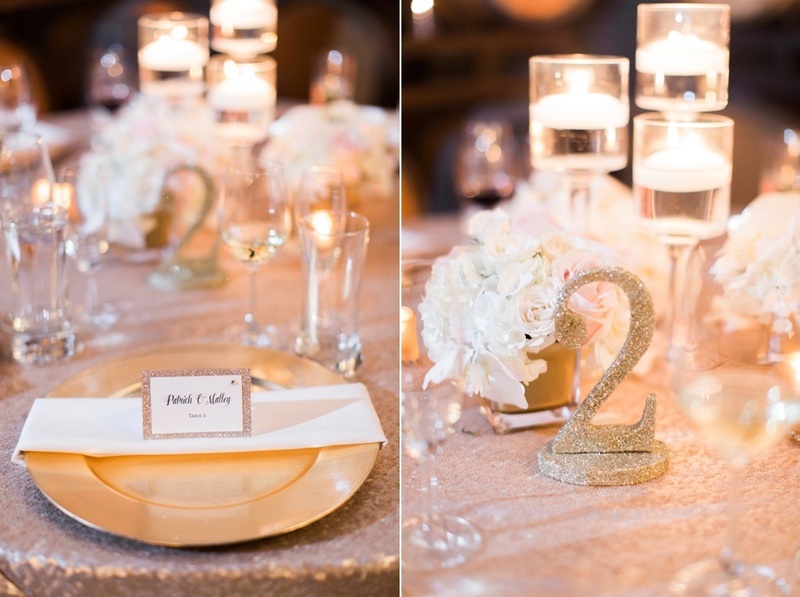 Glitz, Glam and I Do! 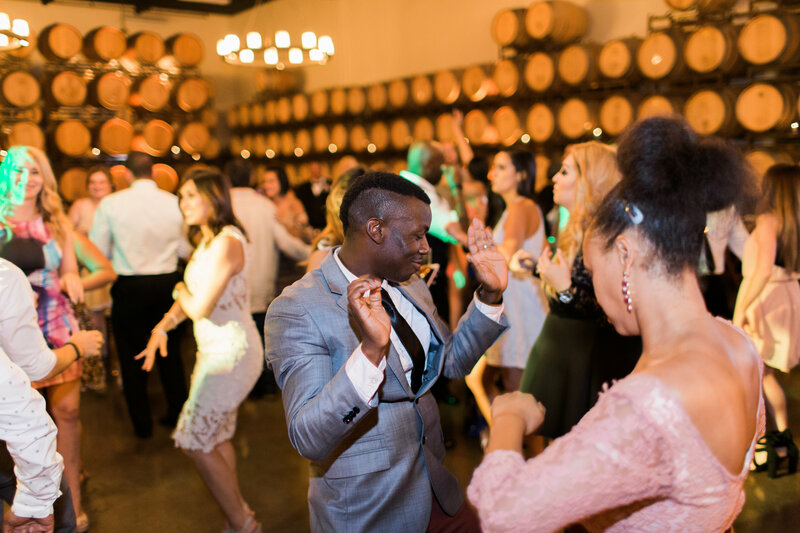 This past weekend Callaway Vineyard & Winery got the opportunity to host Alana & David’s glitz and glamorous wedding! 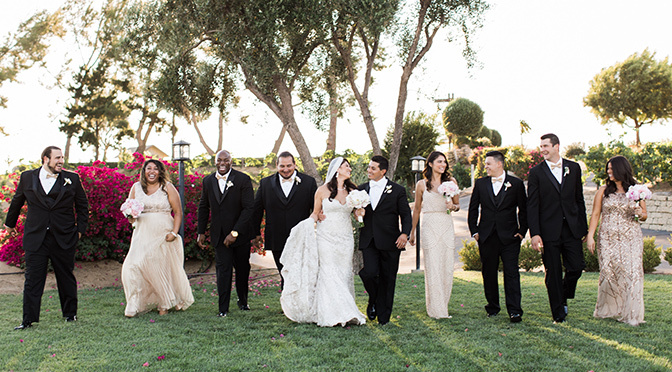 With the bridal party dressed to the nines and the love between the bride and groom, it was the perfect foundation for a truly spectacular wedding! 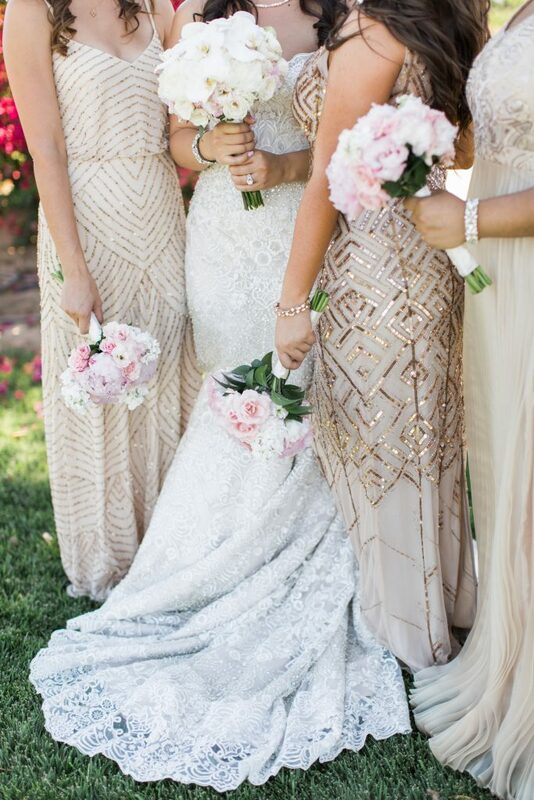 The ladies looking beautiful in their mix and match bridesmaids dresses. The weather created the setting for a prefect ceremony. 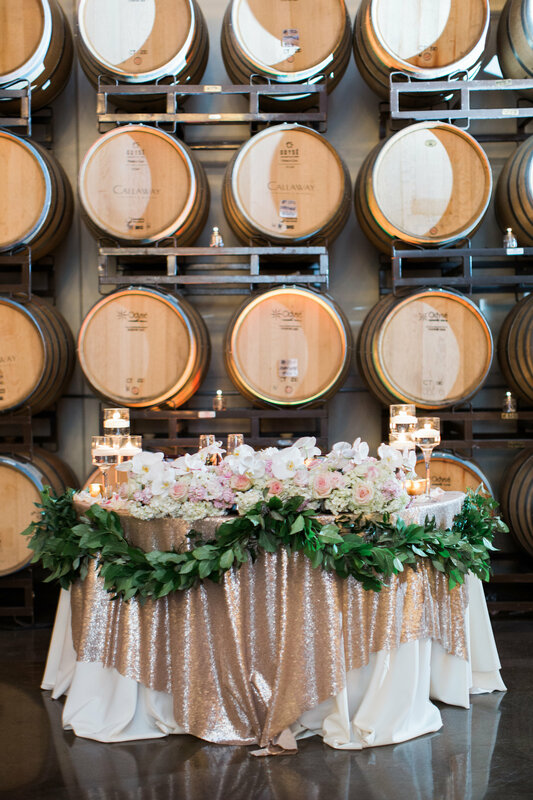 The barrel room was looking extra dazzling that night with the muted rose gold sequence overlays, the beautiful flowers and candle arrangements. 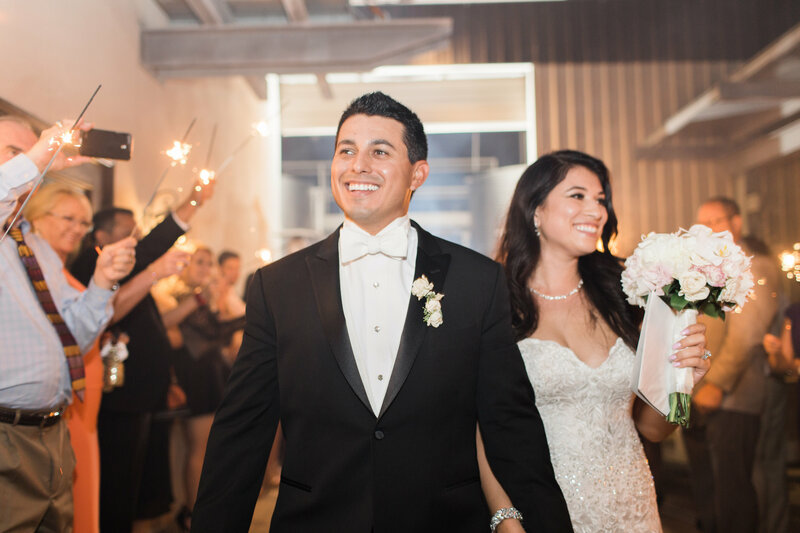 Then everyone danced the night away until it was time for the newlyweds to make their grand sparkler exit! 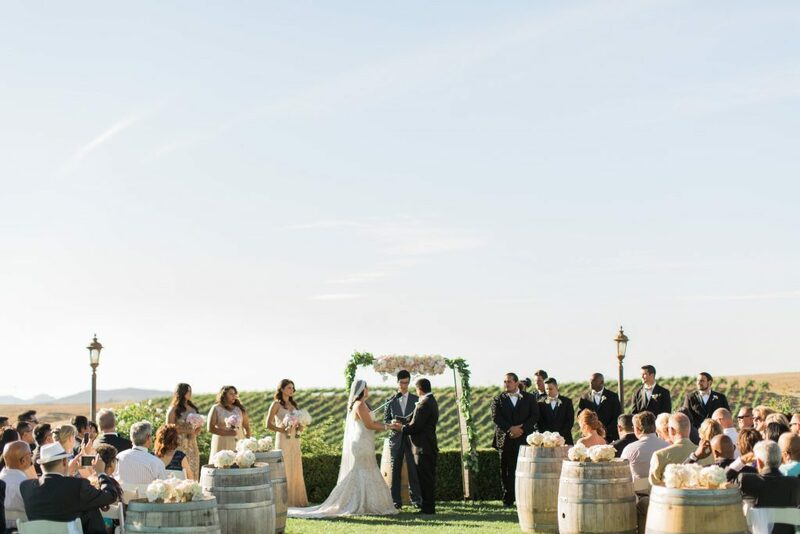 If you would like more information on having your own glitz and glam wedding at Callaway Vineyard & Winery, please give us a call at 951.676.4001. Ask for our Events Department.